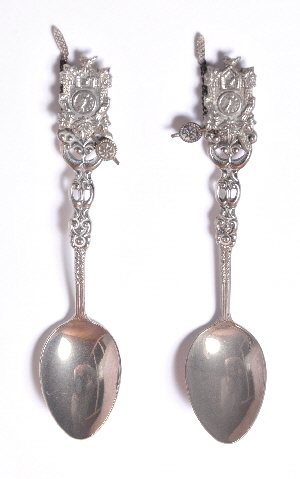 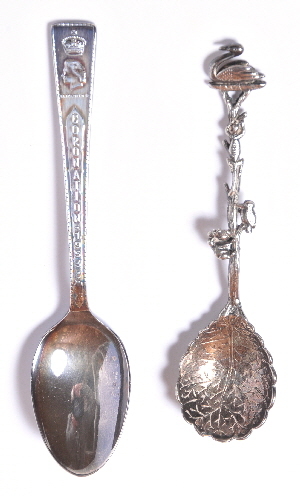 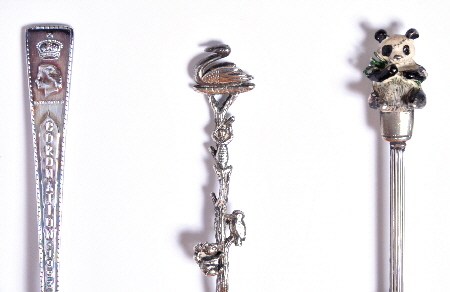 Spoons seem to be popular things to decorate and be kept as souvenirs from a holiday or celebration. 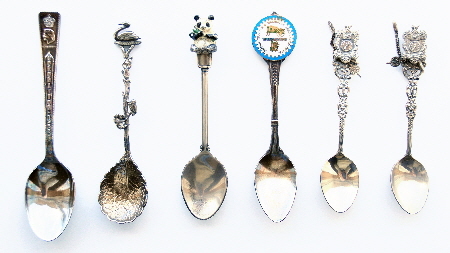 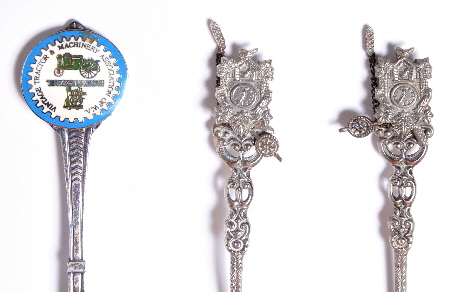 This set of six celebrates the Coronation of the Queen in 1953 and a very decorative pair of cuckoo clocks with pendulum and weights from the Black Forest and a Panda. 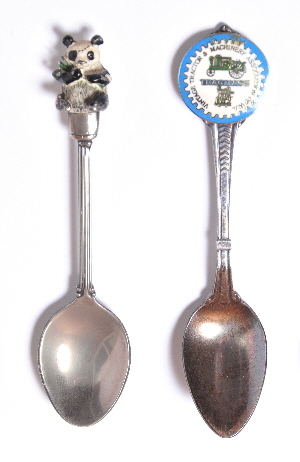 The remaining two depict the animals of Western Australia with the Swan emblem on top and the last one “Vintage Tractor & Machinery” souvenir.